Will you ever update MP Core again? I'm doing a lot more non-minecraft things now. 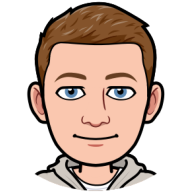 Follow me on GitHub: https://github.com/JRoy to see what I do! MaxIsNotWell, Digger and BrettPlayMC like this. When I do /updaterank (username) (rank), it says An internal error occurred while attempting to perform this command but I have the permission and it is not showing up on the scoreboard and it doesn't save everytime I relog and Carl just blows up when I summon him. Hi, I downloaded the mineplex core plugin, got it on the server, and I spawn in the game waiting lobby. Is there any way I can get to the actual hub/spawn? Thanks. I do have the lobby map downloaded, but when I switch level names in the server.properties, theb map glitches because the plugin still thinks it's in a game lobby(kit podiums get spawned randomly and hub /prefs don't work) I would love to get this working, thanks for your help in advance! To quote on that review, rook is tempbanned currently. Citrin_ and WheezyGold7931 like this. Digger, RyanGamingXbox, KingAlterIV and 1 other person like this. But you live in Connecticut? how long until next update?